Image: Adam Pawlus' neighborhood, night. Commentary: Since 2005 fans have been asking for this Darth Maul, based on the absurd yet still vaguely within continuity short tale from Star Wars: Visionaries, a comic anthology by conceptual artists. In the story, Darth Maul gets rebuilt and chases Obi-Wan Kenobi around the galaxy for about 15 years. The story itself brings into light how the Jedi are stronger, but still ineffective, and how moisture farmers can be total jerks. The main selling point of the story was an older, meaner Darth Maul. His horns grew out, and he had strange animal-like cybernetic legs. He also outgrew the need for clothing which, let's face it, is where we're going as a culture anyway. The deco is great, the sculpt is excellent, and yes, the horns are accurate to the comic-- I had to double-check the pattern, but it matches. The scowl is there, the tattoos are good, and the figure is super-articulated with lateral hip joints, meaning it's as perfect as the figure could ever get right out of the gate. His lightsaber even has removable blades, which is spectacular. Based on the photo, you can probably determine if this is worth your while, and I'd largely say that it is. The only things they could have done to make it even cooler? Other than that, it's a beautiful release constructed with adult fans in mind. Kids may not like it as much, but I doubt they'll complain about the excellent range of movement in the legs and the attention to detail. It's a shame this item didn't make it to retail, but odds are that Owen wouldn't have helped the pack move to kids. 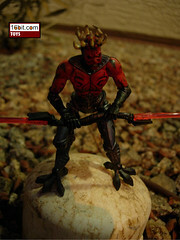 Of course, the Maul is so cool, odds are they'd be willing to overlook him... collectors will probably want both. Heck, I'd suggest getting this just for the comic book stories and Maul, Owen is icing on a surprisingly well-constructed cake. Packaging Notes: Owen (who we'll review later), like Maul, is a completely new sculpt. Considering the lavish packaging, the cost of previous Hasbro exclusives (generally $13 for a single figure), and the fact that this is a set of two completely new figures makes this set something of a must-buy. If you dislike the concept, you should pass on it, but it's a gorgeous set and a ridiculous price and we're not just saying that because we got it for free-- it's better than or superior to the last few comic packs to hit retail and the exclusive sector, and costs the same price with far better packaging. I'd actually go as far to call the packaging excessive, it's a standard comic 2-pack inside a fifth-panel window box with a window on the back as well, and velcro, and an added insert. While the 2010 Vintage packaging is greener in terms of the quantity of garbage you'll throw away after opening the toy, this set is far, far worse. So kudos on a gorgeous presentation, but shame for creating so much unnecessary waste and added bulk to pack for collectors on the way back from San Diego. 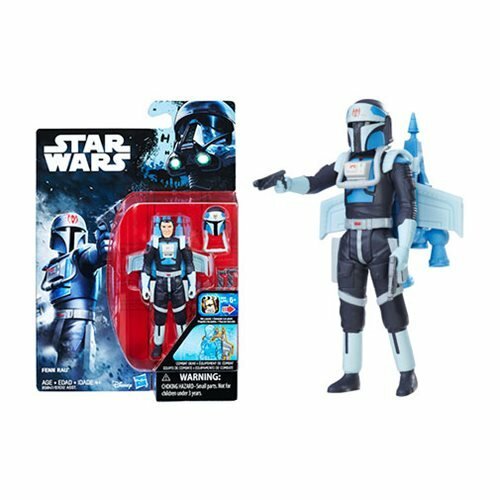 This set is available in San Diego at Hasbro's booth at Comic-Con as of tonight, and will likely be up on HasbroToyShop.com for sale while supplies last in the next 144 or so hours. I waited until I got my hands on one to comment, though it was worth it. This is one very sweet figure, from the paint job to the posability. 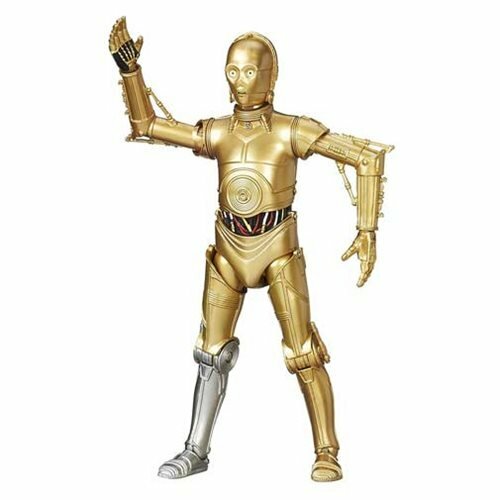 He looks mean, he's got crazy fun jointed legs -- this is definitely a figure worth tracking down. And, unbelievably, the Owen is actually even cooler. 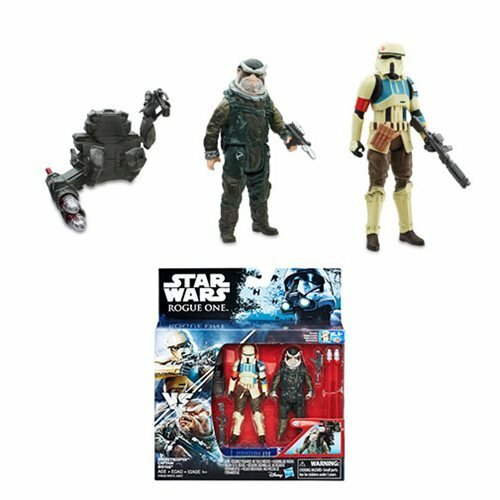 These figures, coupled with the highly impressive packaging, might just be the best exclusive Hasbro has ever offered for Star Wars.